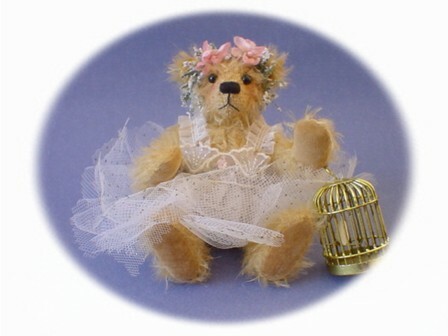 This little ballerina has got a pretty tutu with pink embroidered flowers on the bodice , it has got a full netting that has got a sparkle in the fabric. She is practicing with her birdcage that has got a bird in it ! I remember doing this many years ago ! She is 4 1/2 inches high 5 disk jointed.